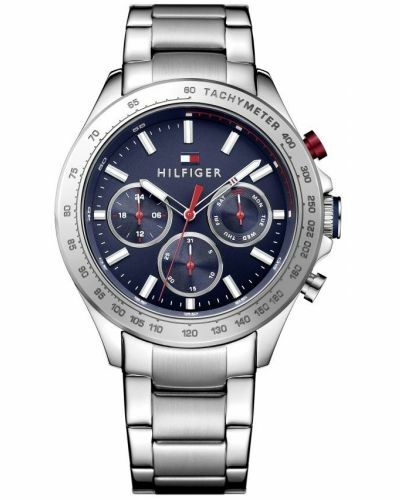 This mens Hudson watch by Tommy Hilfiger has a stunning two tone finish stainless steel bracelet and case, with Tachymeter bezel and chronograph function. The dial also displays the day and date functions, perfect for every day casual wear. This watch is battery powered and comes with a 2 year guarantee. 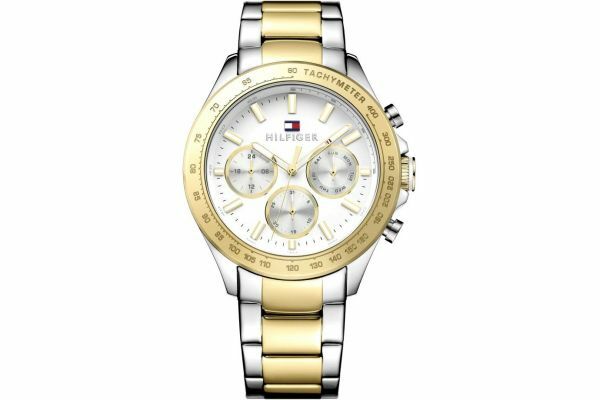 For us to size your new Tommy Hilfiger Hudson watch as accurately as possible, please take a look at our downloadable Watch Sizing Guide.